For more than twenty years, Sultan Khan has defied the authoritieswhether communist or Talibanto supply books to the people of Kabul. He has been arrested, interrogated, and imprisoned, and has watched illiterate Taliban soldiers burn piles of his books in the street. Yet he has persisted in his passion for books, shedding light in one of the world's darkest places. This is the intimate portrait of a man of principle and of his familytwo wives, five children, and many relatives sharing a small four-room apartment in this war-ravaged city. As they endure the extraordinary trials and tensions of Afghanistan's upheavals, they also still try to live ordinary lives, with work, relaxation, shopping, cooking, marriages, rivalries, and shared joys. Most of all, this is an intimate portrait of family life under Islam. Even after the Taliban's collapse, the women in Khan's family must submit to arranged marriages, polygamous husbands, and crippling limitations on their ability to travel, learn, and communicate with others. 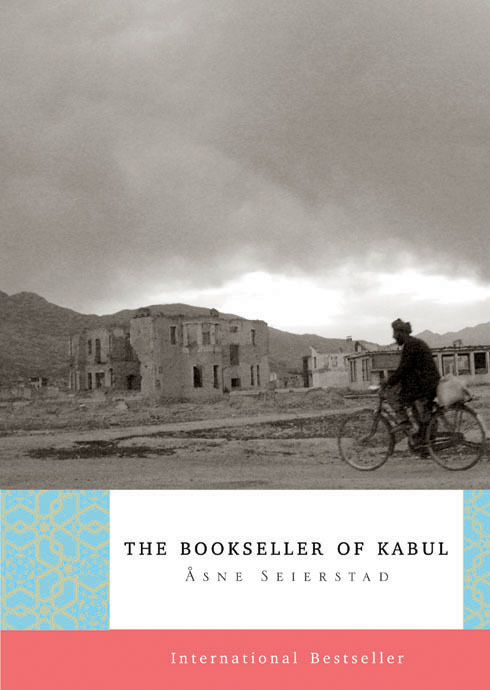 Seierstad lived with Khan's family for months, experiencing first-hand Afghani life as few outsiders have seen it. Stepping back from the page, she allows the Khans to speak for themselves, giving us a genuinely gripping and moving portrait of a family, and of a country of great cultural riches and extreme contradictions.